The devastating earthquake of 7.6 magnitude on 25th April 2015 and the 6.8 magnitude aftershock on May 12 made hundreds of thousands of people homeless with entire villages flattened across many districts of the country. Fourteen districts were mostly affected by the earthquake out of the 75 districts in Nepal on various levels of destruction. 55% of women and girls sustain higher levels of death in comparison to men. Women with disabilities, face even greater risk, and are often the last to be reached, and the last to be rescued. In this regards Prayatna Nepal has conducted disaster risk management training for 17 visually impaired women on May 24-27 in Kathmandu. To enhance the disaster risk response and management capacities of visually impaired women. Risk concept overview, Hazard, threats accident and emergency. Hazard hunts and Fear dynamic etc. Understand the fear, Physiology of fear, emergency fire step to take and manage accordingly etc. Why did earth quake happen in Nepal? Historical pattern of earth quake? What to do before earth quake? What to do during earth quake? What to do after earth quake, in case of fire following in earth quake? what is golden rule of evacuation? Participants are able to make individual plan for disaster preparedness. 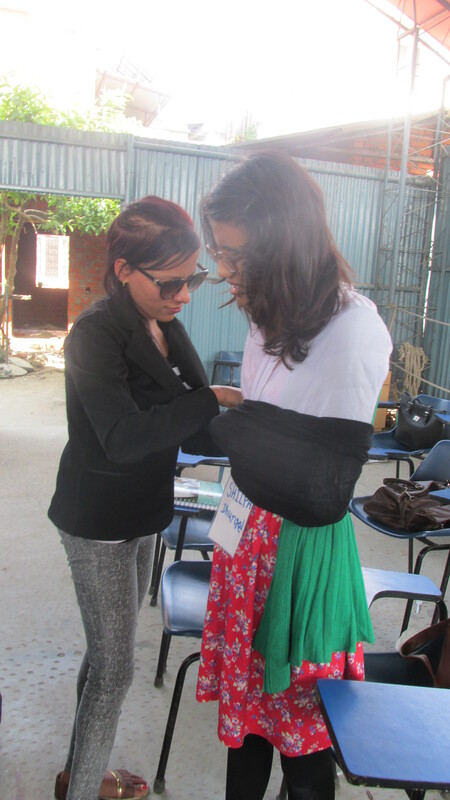 Participants are able to trains other earth quake affected women with disabilities.